At Young Electric, Inc., we take pride in delivering quality services to all our customers. 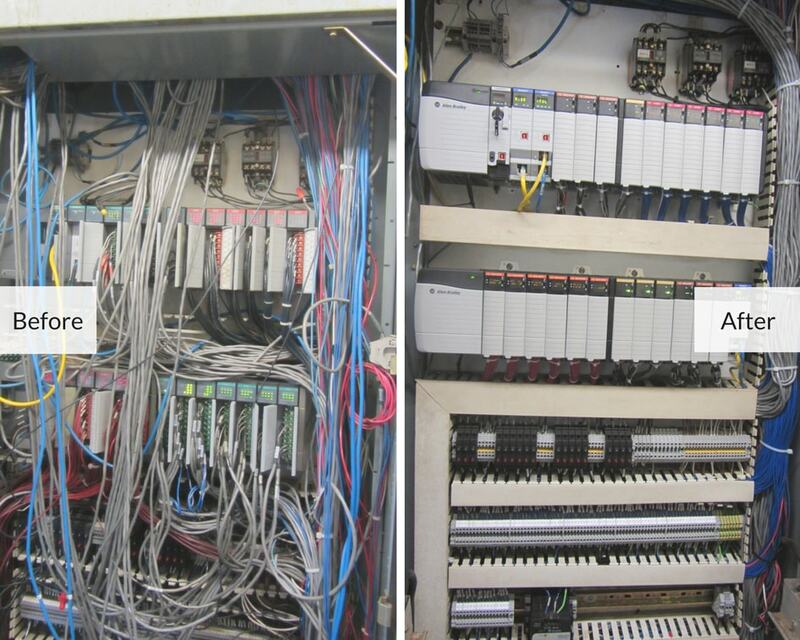 We recently had the privilege of replacing all the antiquated Programmable Logic Controller (PLC) hardware and wiring terminals to provide a complete industrial automation system update for an Inedible Rendering Process for Cargill Meat Solutions Corporation, one of our oldest industrial customers. The PLC system controls multiple production processes for the customer, including the Crax, Floatation, Blood, and Cooker systems. These produce inedible tallow, grease, and other products used in livestock and poultry feed, soap, and the production of fatty-acids. We understand it is not ideal for a plant to shut down operations for an extend period of time, therefore we go to extraordinary lengths to minimize the systems upgrade process. For this project the customer shut down the plant on a Saturday morning at 10:00 a.m. and turned it over to the Young Electric, Inc. Team to complete the system update of all hardware and terminals. By 3:00 p.m. the next day, the upgrade was completed. We then began testing all systems and verified that they were in good working order. On Monday morning our team returned early to assist the customer and their operators in starting the different processes with the new control system. As expected everything went as planned and the Young Electric team helping with the project was on their way home by mid-afternoon. However, customer service is very important to us, so we left our Project Engineer and PLC Programmer, Daren Masterson, onsite to provide continual support throughout the day until the first shift was finished. In addition to the satisfaction we get when helping our customers, this project had a special meaning for our current President Cori Young as it has brought a few things full circle. If your industrial or commercial plant needs an upgrade or a new custom control panel design and fabrication contact us at 316.681.8118 or shoot us a message.